Diners’ Choice Awards 2017 isn’t just about voting for your favourite eateries in Singapore – it’s also an opportune time to savour stellar eats too! With these Diners’ Choice Specials, grab the chance to sample exclusive set menus at irresistible prices, as well as buffet offers that will leave you wanting more. There’s only a week left to bag these goodies, so you’d better start now! It’s buffet for days, with these all-you-can-eat specials, to get your appetite going! Whether it’s a 1-for-1 tantalising spread at Seasonal Tastes you’re after or a special 25% off at The Line for their lunch or dinner buffet, these deals are guaranteed to satisfy both your bellies and wallets. Fresh coffee, the satisfying smell of big breakfast platters, and an ambience that lets you believe that time stood still; there’s just something about cafe spots that we can’t get enough of. Want to make your experience an even better one? 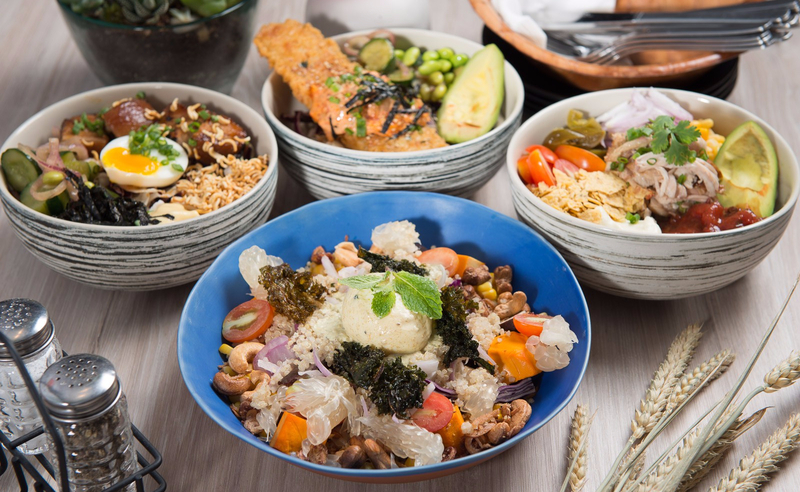 Get your hands on these exclusive 2-course cafe set menus for only $19.90++ from Nassim Hill Bakery Bistro Bar, Sinpopo, Sunday Folks, Ninja Cut, and more top cafes in Singapore! There’s never a shortage of good eats in Singapore but with these specially-curated set menus from the best eateries in town, you know you’re getting the crème de la crème of the lot! From Korexican creations at Vatos Urban Tacos to a satisfying lunch ensemble at Butcher Boy to stacks of fresh seafood at K-Tower, tuck into these 3-course drool-worthy eats for only $39.90++. If that’s not a steal, we don’t know what is! Here’s a little insider’s secret for you: score $15 off your next buy on The Chope Shop when you order any 2 items from the Diners’ Choice Specials with the code DC15 in a single purchase. So hurry and grab these specials before they’re gone!